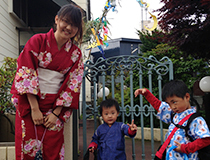 The eight-week homestay provides you with full immersion in Japanese language and Japanese culture. 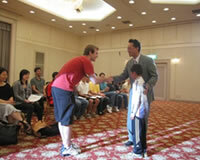 Host families volunteer to participate in the program not merely to accommodate you but also to help you to practice your Japanese and deepen your understanding of Japanese culture. They are also willing to learn the language(s) and culture of your country. The homework and class topics are expected to reflect your homestay experience. Empathy is the key. Try to understand perspectives of other than your own. Respect others and be open-minded. Reserve judgment on cultural differences. Make extra efforts to understand the non-verbalized assumptions in the context of communication. Do not be afraid to make mistakes and learn from them. Try as many new things as possible, even if they are scary. The more you put yourself out there, the more you will learn. Try everything you can. If you have problems with your host family, please talk to them. They are hosting to also learn about or adapt to your culture; neither side should have to fully give in. Don’t afraid to talk to your host parents. Balance work and fun. Don’t hide in your room all the time. Talk with your host family as much as possible. Share your interests, but also try to find out your host family’s interests, as well. Take advantage of life in Japan! 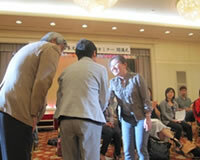 Explore, meet Japanese people, and enjoy the experience. Spend every day as if there is no tomorrow. Don’t hesitate to ask if you have any questions. Share one (or more) episode(s) of the day with us. Any event is fine, no matter how small it is. We are happy to hear about it. Be honest about what you can eat and what you cannot eat. Keep your room neat and clean. Forget the Internet. Put your phone away. Let’s enjoy face-to-face interaction at home together! Enjoy your stay in Hakodate! During the homestay period, staying out overnight is prohibited even at another student’s home or at a hotel, except for the semester break. 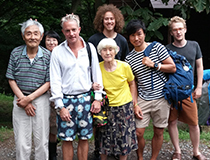 By setting this rule, we strongly believe that you can fully immerse yourself in the homestay experience, which helps to improve your Japanese language skills, deepen your understanding of Japanese culture, build a life-long relationship with your host family, and make wonderful memories of the summer. 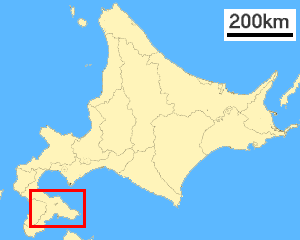 Most participants use this break to travel to Sapporo or other areas in Hokkaido/Japan. If you plan a trip by yourself, you may leave after the final examination on July 11th and come back to your host family’s house by the night of Monday, July 15th, at a reasonable time so that you won’t disturb your host family. HIF prohibits participants from hitchhiking and sleeping outside except under unavoidable circumstances. In any case, HIF accepts no responsibility or liability for any injury or loss resulting from the above-mentioned behaviors. Each student will be placed with a family who lives in Hakodate City, Hokuto City or Nanae Town where the public transportation is available to commute to/from HIF. Your host family will show you how to get to HIF using public transportation (bus, tram, or JR train) on the first few days of your homestay. 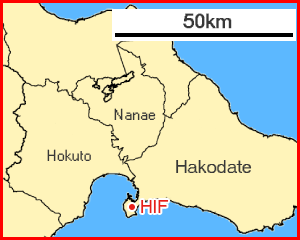 HIF works hard to find families who live close to HIF, but please note that there is a chance you will live about 1.5 hours away from HIF. HIF will refund transportation expenses for those who use public transportation to commute between host family’s house and HIF, according to the criteria set by HIF. Further information will be given at the beginning of the program. The ¥84,000 homestay fee is included in your program fee. It covers 1) accommodation (furnished private room), 2) breakfast and dinner during weekdays, and 3) three meals a day on weekends. HIF will pay the fee to your host family via bank transfer. Your host family will prepare a room, bedding, desk, and desk light for you. Also they will allow you to use their washing machine, detergent, iron, hair dryer, etc. Please bring/purchase in Japan for your personal use any necessities such as towels, toothpaste, shampoo and any other consumable items you wish to have. It is a good idea to bring some omiyage (souvenirs) with you for your host family. Anything is fine, but some popular omiyage are cookies, chocolates, tea, coffee, something that has your university name or mascot on it, etc. It’s also recommended that you bring some pictures of your family, friends, hometown, university, etc. to show your host family. HIF matches students with host families according to food and health preferences. These preferences may include cigarette smoking, pets, alcohol and dietary restrictions. However, sometimes students who dislike cigarette smoke are matched with host families that smoke. In these cases, host family members offer to restrict their smoking to designated areas for your convenience. Some host families accommodate more than one student and they provide each one with an individual room. Also, there is a chance that a student will live with two host families, one for the first half of the program and the other for the second half. I think being able to join HIF is a very precious opportunity for me to be totally immersed in a Japanese-study environment. 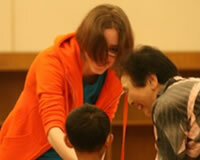 The HIF program is a great opportunity to improve your understanding of both Japanese and Japanese culture. One of the greatest things that I've learnt during my stay in HIF is "thinking in Japanese". 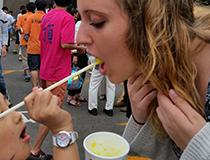 HIF was an amazing opportunity to immerse myself in an all-Japanese environment. HIF has been the best experience of my life. I woke up every day looking forward to host mom's breakfast and playing with her 4-year-old son. Copyright © 2013 HOKKAIDO INTERNATIONAL FOUNDATION. All Rights Reserved.